With its combination of comfort, practicality, daily usability and sweet driveability, the new Civic 1.6 hopes to recapture the hearts of Singapore drivers. 34 out of 43 (79.1%) reviewers said they would recommend this vehicle to a friend. As a previous owner of Honda (Jazz), the ride has not failed to live up to its hype. It is great looking, powerful (speaking from the angle of 1.5T) and a fun ride (with some enhancements done, e.G. Tuning / sound proofing). With the above, the ride has always give me a face full of smiles when driving it. 1. The LOUSY paint quality finishing. I have been owning this car for about 7 months now. It is true that its acceleration in D mode is not tht responsive compare to its older generation, but you can drive in S mode if u want faster response. Even in D, its performance is more than enough for the city drive. I like both exterior and interior looks. For FC, I am getting abt 15.2km/l which is better than expected. Quite a spacious car and good infotainment system. I believe those are complaining about higher FC in civic have very heavy foot. Civic is designed for faster response and if u have a heavy foot, the FC will confirm go high (I have tried that). So far not even trivial problem has been encountered. Totally agreed with the previous fellow that give a sincere review. I was totally attracted to its exterior and interior outlook of the 1.6 FC during test drive that i did not pay much attention to its performance. Collected the new car and been driving for a while. Seriously, CVT transmission is slow response n sloggish...Even suzuki ditch the CVT on ZC32...Yet honda still using it. Fuel consumption is worse than a 2007 technology 4gear car that i previously drive. Super regret buying 1.6NA at this price...This is the price of other continent with turbo engine and better FC. Buy this if u like the looks, dont mind the slowness and huge FC consumption. I have been driving the naturally aspirated 2017 Civic 1.6 VTi for the past year and a half. Firstly, it looks great, possibly one of the best-looking sedans in it's class. The car is relatively spacious and has great Honda build quality. The interior design looks nice and futuristic too. Sadly, the 1.6L engine is a carry over from the previous generation and has no significant improvements in terms of performance and efficiency. The CVT gearbox does not help its case along either. The usual rubber-band effect can be felt when accelerating hard and the drone of the gearbox is pretty loud. The biggest letdown however is the poor fuel consumption - I was getting around 7-8km/l or around 330km per full tank. The ECON switch is just for show as it did not save any fuel. The overall stance of the car is rather low slung too which may prove difficult for older folks to get into the car. It also costs more than its competitors in this class. I bought this car my senior year of high school and truly would go back and do it all over again. For my daily commute and how much i drove, the MPG and reliability were great! I get anywhere from 350 to 500 miles to the tank depending upon where i drive(city/highway) or how had on the pedal i am. I bought the car with 80,000 on the clock and now has 152,000 and have had zero issues other then regular/routine maintenance. I love this car and would recommend it to friends and family or for someone's first car! I am a pretty tall guy and was a little disappointed when i first saw the car but when i got in and realized how much room i had and how comfortable it was i was amazed. Comfortable, and easy to drive. 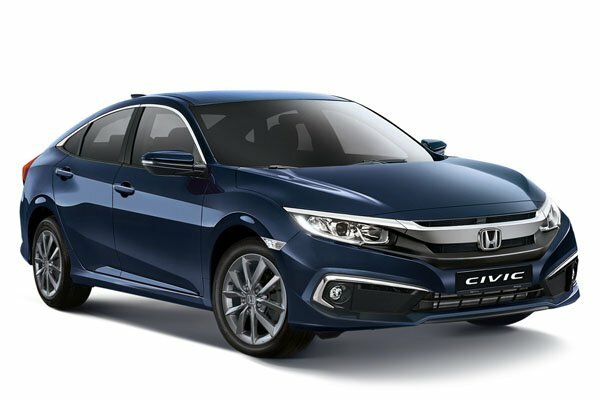 Was deciding between the Toyota Altis Elegance model and the Honda Civic 1.6NA and decided to get the Civic as it looks sportier and fiercer compared to the Altis. I understand that this is the first time that the Civic models were fitted with CVT gearboxes by Honda and this was really apparent from the 'rubber-band' effect whenever the car changes shift, be it up or down. It is quite a big difference from the Altis as I used to drive my parent's Altis and their CVT did not exhibit this kind of behaviour. Other than that, there also seems to be this subtle 'jerk back' feeling whenever I let go of the accelerator at around the 70 km/h speed. Most fellow drivers also share that they experience these same things but Kah Motors' response was that everything is normal. Moving on from the minor dislikes, on to the nice stuff. The Civic handles very well especially during corners and it is a bonus that it looks mean and fierce on the roads. There is also ample leg space for backseat passengers although the middle hump could be a turn off for some. Rear air condition vents are a nice bonus as well for passengers seated at the back seats. Steering feels agile and very responsive. The boot space is also very large and generous. As a Civic fan since young, can't really find anything else to dislike about the car. I've driven the 1.6L Honda Civic 10 Gen for almost one year. The noise insulation is much better than the rest of the Japanese cars of the same category. My average fuel consumption is 8.9L/100km (Mostly highway driving). The acceleration is not very good therefore i have to be extra careful to ensure that more than sufficient distance for me to drive into another lane. Once the pick up is there, the car runs pretty well. The sport mode is extremely fun and engaging it would solve the slow acceleration issue. The eco button doesn't save much fuel. Engaging the eco mode significantly decreases car performance. Big boot space and comfortable passenger space. The only issue is the car cannot start properly everyday therefore i've have to use the jump starter cable to jump start the car every morning before i drive. Asked Kah Motor technician to come down to check but they also use jump starter and say its a common issue with this car. A bit of hassle before i drive every morning otherwise its a really good car. Cannot start the car properly. System goes haywire and blinking all over before it dies so have to use jump starter cable to jump start the car, otherwise should be ok. Need to invest in a good jump starter. Had been driving the 1.6NA for close to a month and clocking mileage of 1500km. When deciding to get a car to replace my COE due FD, was looking at Altis, Qashqai, City and Civic. Decided to test drive both City and Civic and was completely sold to it. 3) good mileage :- had been achieving around 7.5l/100km consistently for the past 3 pumps.60% city 40% highway. 6) thoughtful design of all the sockets and USB ports. 1) the head unit : limited apps for CarPlay. Unable to install any GPS navigation apps even though there is GPS antenna in the HU. 2) Plastic parts on some of the dashboard and side panels which easily scratch if you have long fingernails. 3) paintwork feels thin at the edges of the door. 4) Headlight is yellow halogen bulb while DRL is white. Looks a bit weird at night when you turn on the headlights. I have driven the 1.6 NA for 8000 KM. So far overall experience is good, except for some minor issues. The handling is good, I feel it is better than the previous 1.8 FD, especially cornering. Power steering is motorized, so the feedback is not as good as hydraulic. Good for normal driving. The 1.6 NA takes a bit of effort to achieve fast accelerate (CVT? ), but if push it hard enough (drink more petrol), should be able to merge expressway fast & overtaking cars with ease, or get the 1.5T. Petrol consumption is average, about 12 KM/ litre, 50/50. One reviewer mentioned about CVT gearbox jerking during engine braking or pressing the gas after engine braking, which I have also encountered, but can live with it. The signal light stick switching are a bit rough, need a little more force to switch left or right signal. The OEM wiper blades not very smooth, jugger & squeak, even under heavy rain. Tried cleaning the blades & windscreen with glass cleaner, but won't last. Windscreen quality like not very good, I have noticed a very fine line scratch, probably from sand/ particles rubbing between the wiper & windscreen. This I never encounter before from my previous cars ownership. Glass should be quite hard. Exterior is sporty & futuristic, lower, longer, wider (but parking will be tighter). Front & Rear looks great & fierce. Electronic hand brake lagging, still prefer mechanical type. Paint works is lousy, the door's edge paint chip off easily, even a light knock will dent it and paint came off. Advise to stick door guard. Overall is a good car to drive. As you have guessed from my headline, this friend of mine has grown up and his family needs feature rather high on his list of consideration. A large, comfortable sedan that can accommodate 5 passengers and do it with gusto of a turbo charged DOHC VTEC engine. But don't expect a sports coupe performance (look to Civic Type R instead) and this fine example should give you years of trouble free motoring and happy memories that you can share with good old friends over beer. Tested Honda Civic 1.6 against Toyota Corolla Altis & Nissan Sylphy. The Civic came out top in terms of driveability, comfort, exterior and interior looks. Modern sporty exterior and well-designed interior. Smooth and responsive engine. Soft and comfortable seats plus quiet cabin. Rear lights a little too modern and not-the-common looks. Takes some time to get used to it. There are a lot of interesting things that are implemented into the new civic the version which i am reviewing if of course the 1.5 turbo one of these new things would be the switch to a turbo engine. The turbo engine while it has "Vtec" Is actually not vtec the further you look into it but rather has vtc(like vvti) and therefore there isnt any "Vtec kicked in" Experince towards the redline which is in my mind for a honda pretty low at 6500rpm other than that the lanewatch is of slight use at night as it can be quite blurr . Also to note the interior of the car feels very germanish with the exception that the lights dont feel very atas to me amd it felt as if they cheaped out on the interior lighting system in exchange for the mostly soft touch plastic dash. I would also like to emphasize on the interior storage. For intsance the front doorbins could have been slightly bigger as there is alot of unused space for the front doors. Rear doorbins are more acceptable as passengers usually dont use the doorbins much. The latest iteration of the well loved Honda Civic defines Honda's progress in the turbo-charged class. For the longest time, Honda has been sticking to it's powerful and yet efficient naturally aspirated engine. But with advances in its' ever famous VTEC tagline, now it can boast the new supremacy era, the VTEC Turbo. The 1.5 turbo charged model feels comfortable and it oozes oomph when the pedal is lightly depressed. At the same time, the cabin feels quiet and well built even though there's plastics in some area. The all new Civic has exterior styling of lines and angles, a much improvement over her dated-curvy past. Huge pentagonal grilles dominate the front and rear corners making it fierce looking without losing it's signature Honda look. Stepping into the cabin, you'll a logical and better-assembled dash board than it's predecessor. Apple Play comes standard and it's a big welcome to everyone, even to the least tech savvy drivers. The seating arrangements are much lower than before to make it feel sporty but overall still comfortable as there is more than sufficient room space to maneuver. The steering grip is tight, making the driver confident even in abrupt corners. However, the rear passenger floor no longer comes flat and there's a noticeable hump which makes the centre sitting passenger awkward. Overall, the all new 10th generation Honda Civic makes an interesting entrance from the forgettable 9th. Kah Motor's decision to bring in the Thai built may dampen some loyal MIJ-Only buyers but with all the enhancements, everyone will eventually overlook this point. Have been driving Civic 1.5T for about 3 weeks, clocking 700+ km so far. Handling is noticeably better than my previous 8th gen Civic, and the engine is responsive, capable of delivering the needed power and torque on demand with small but acceptable turbo lag. Average fuel consumption on trip computer registered about 5.8l/100km so far, better than I expected but I travelled mostly on highway (85%) and I am not heavy footed. Lane watch is helpful during day time but is almost useless during night time, arguably when it is most needed. The headlight of other cars in the lane watch video becomes blur when it's dark, and if the car/motorbike does not turn on headlight it will be impossible to see them in the video when it is poorly lit. But something was not quite right the day I picked up my car. The bonnet is misaligned with noticeable large gap and protrusion on the left side (my car groomer pointed that out too even without telling him, it is that obvious! ), my car agent assured me on 1st day that this will be an easy fix and will be addressed fully on my first 1k service. 3 days later, rattling sounds started protruding through the cabin, especially when the car goes over uneven road. Initially after checking the cabin myself, I found the loose plastic panel underneath the steering wheel that seems poorly installed (and designed). I managed to fix it myself but apparently it just addressed half the problem. The rattling sound at cold start seemed to have eliminated, but the rattling and creaking sound when driving on the road still persists, albeit at lower level. In fact, the entire chassis feels like it is constantly struggling to cope when driving, and does not feel confident at all (rigidity supposed to have been increased over last generation). Perhaps I just got a lemon, this really makes me missed my previous 8th gen Civic a lot which served me 10 years without ever making any rattling/creaking sound despite the degraded suspensions in its last 2 years. Is this due to the difference in quality control between Thailand made (10th gen) and Japan made (8th gen)? Now I just hope the rattling/creaking sound is not an indication of some serious and deteriorating issues down the road, and I hope Kah Motor will be able to responsibly and competently address the issue satisfactorily. Until then, I will not recommend the car to my friends. Low fuel consumption for a 170hp car. Good handling especially when cornering. Lane watch during day time. Buttons on steering wheel feel cheap and uncomfortable at touch and press (sharp edges). Too much scratchy hard plastic in the cabin. Collected ride 1 month ago and clocked 3000KM so far. Brought it to Genting last weekend to clear carbon and tested out its handling capabilities. Changed out stock rims and tyres right after collection of vehicle therefore unable to comment on stock tyres (Hankook Noble S1). Sound insulation is rather disappointing as I experienced wind noise penetrating through my A-pillar while driving 100km/h-ish. I had to install an additional layer of rubber door seal before my Genting trip. The stock rubber door seals are rather soft, brittle(heard of some cases of rubber cracking) and useless in keeping the wind out. Undercarriage soundproof is not fantastic too. CVT gearbox has an existing bad issue whereby there are some lag in gear ratio selecting resulting in jerking and metal pinging sound during engine braking or pressing the gas after engine braking, usually happens around 73 or 96km/h. Kah motor has no solution to it so far. Paddle shifters response time is acceptable. Handling is very good, body roll is minimal. Interior design is very modern but there are still empty switch spaces which are very unsightly. Steering wheel buttons feel cheap. Exterior design is definitely one of the biggest reason of choosing this car. The overall styling is very sleek, low, sporty yet spacious-looking. Authorised Distributor Honda cars are Honda City Reviews, Honda Civic Type-R Reviews, Honda CR-V Reviews, Honda HR-V Reviews, Honda Jazz Reviews, Honda NSX Hybrid Reviews, Honda Odyssey Reviews. Parallel Imported Honda cars are Honda Civic Hatchback Reviews, Honda Civic Type-R Reviews, Honda Fit Reviews, Honda Fit Hybrid Reviews, Honda Fit Hybrid Speedo Motoring Edition Reviews, Honda Fit Speedo Motoring Edition Reviews, Honda Fit Trust Motoring Edition Reviews, Honda Freed Reviews, Honda Freed Hybrid Reviews, Honda Freed Hybrid Trust Motoring Edition Reviews, Honda Grace Hybrid Reviews, Honda Odyssey Reviews, Honda Odyssey Hybrid Reviews, Honda Shuttle Reviews, Honda Shuttle Hybrid Reviews, Honda Shuttle Hybrid Speedo Motoring Edition Reviews, Honda Shuttle Trust Motoring Edition Reviews, Honda Stepwagon Reviews, Honda Stepwagon Hybrid Reviews, Honda Vezel Reviews, Honda Vezel Hybrid Reviews, Honda Vezel Trust Motoring Edition Reviews. sgCarMart is the number one car site for buying Singapore cars, including new cars, parallel import cars, Toyota, Honda, Nissan, Volkswagen, Mitsubishi & BMW. We have new car dealers comprising parallel importers, authorised car distributors, and used car dealers who have the New Honda Civic latest price Find new car pricelists, new car launches, new car promotions, new car reviews, latest car news & car articles. Read the New.Honda Civic consumer reviews to help you decide on buying a car. Also join our car discussion and forum discussion for car reviews, motoring news & motoring guides. Visit our partner sites who have job openings for Singapore jobs, Singapore classifieds, mover and real estate properties for sale.